Today Asus South Asia and country manager, Peter Chang launched Asus Zenfone 3 Max in India, expanding their Zenfone 3 series launched in 2016. Unlike previous generations of Zenfone Max, Asus Zenfone 3 Max comes in 2 variants, a 5.5 inch Variant ZC553KL priced at Rs. 17,999 and 5.2 inches variant ZC520TL priced at Rs 12,999. The 5.2-inch variant is on sale now in Flipkart and offline stores. The 5.5-inch variant will be sold from November 16. Both the Asus Zenfone 3 Max variants flaunt similar elegant metallic design with 2.5D rounded edges and come with a large powerful battery of 4100 mAh. Like previous generations of Zenfone Max, this one has got Reverse Charging Capability to charge other devices using OTG cable. 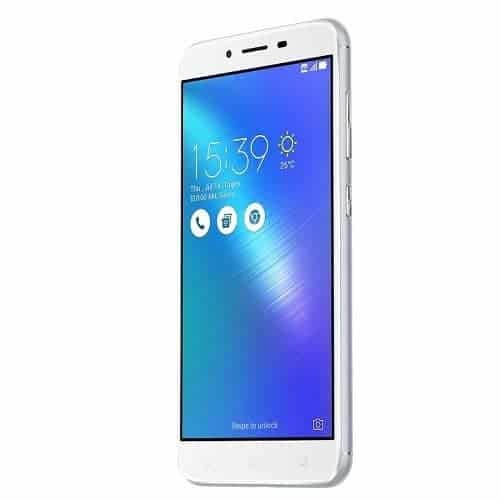 The Asus Zenfone 3 Max 5.2 inch (ZC520TL) is powered by 1.25 GHz MediaTek MT6737T SOC and has 13-megapixel rear shot and 5 MP selfie snapper. Along with 32Gb of storage, ZC520TL can support 32GB external SD card. On the other hand, Asus Zenfone 3 Max 5.5 inch (ZC553KL) is powered by 1.4GHz octa-core Qualcomm Snapdragon 430 SoC with a 16-megapixel rear camera and 8MP selfie camera with 84-degree wide-angle lens. It supports external storage up to 128Gb along with onboard 32Gb internal memory. Both smartphones will be available in Glacier Silver, Sand Gold, and Titanium Gray color variants.